Trying to find a reputable roof cleaning service in Kent is not always easy for homeowners as there are many companies advertising the service. 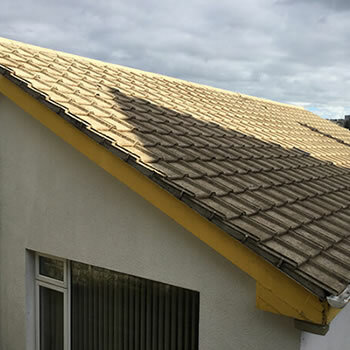 The good news is that we can provide a professional roof cleaning service based on solid recommendations from many satisfied customers we have in Kent. 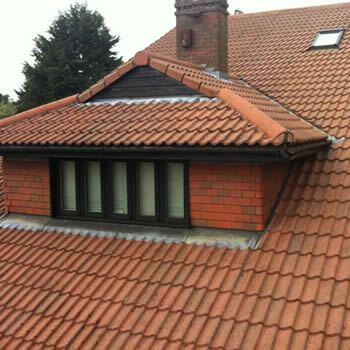 Our roof cleaners who cover Kent will provide a free roof survey to see what is required and follow up with a free no obligation quotation detailing how the work will be carried out. The housing stock in large towns such as Canterbury, Ashford and Maidstone is a varied mix, from older pre and post-war housing to many new developments that have been built recently to cope with increased population growth. This means there are many types of roof tiles, many are made from concrete and others from slate and clay. 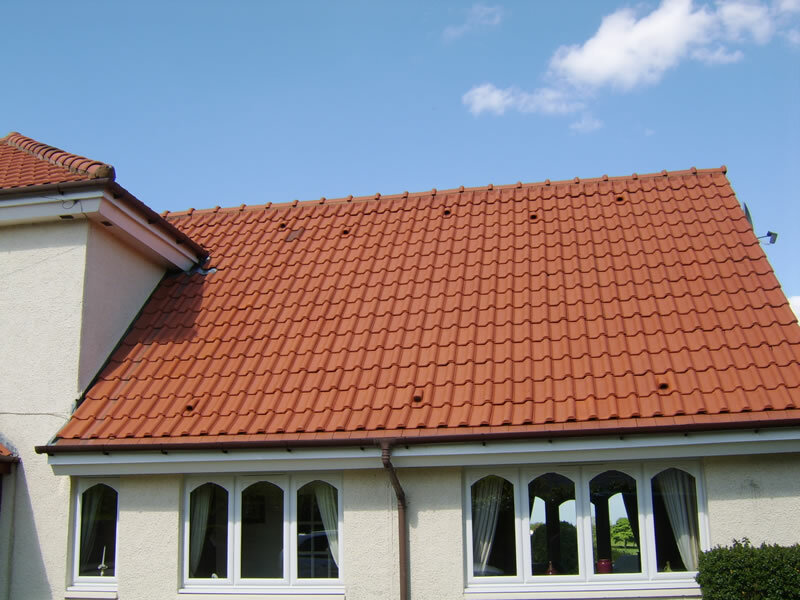 The porosity of these roof tiles varies considerably, with older concrete tiles the most porous and especially susceptible to the growth and spread of moss and algae. 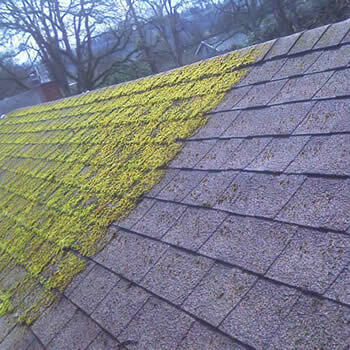 This in turn creates a demand for roof cleaning in the area with homeowners looking for solutions to keep their roofs free from moss, algae and general dirt and grime. 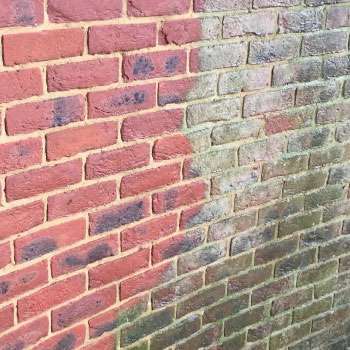 Although traditional pressure washing of roofs and moss removal by hand is still offered by many companies in towns such as Sevenoaks, Tonbridge and Tunbridge Wells, it is the non-pressure BioWash™ roof cleaning process that is service is becoming increasingly more popular with homeowners in Kent. 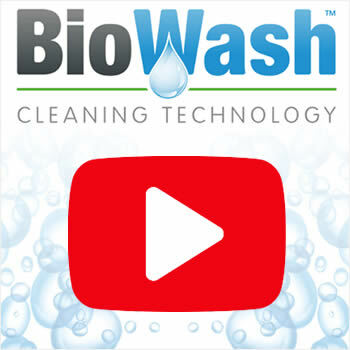 Although it differs from the ‘soft wash’ roof cleaning process pioneered in the USA, the BioWash™ roof cleaning process is gentler but still very effective approach to cleaning roofs. 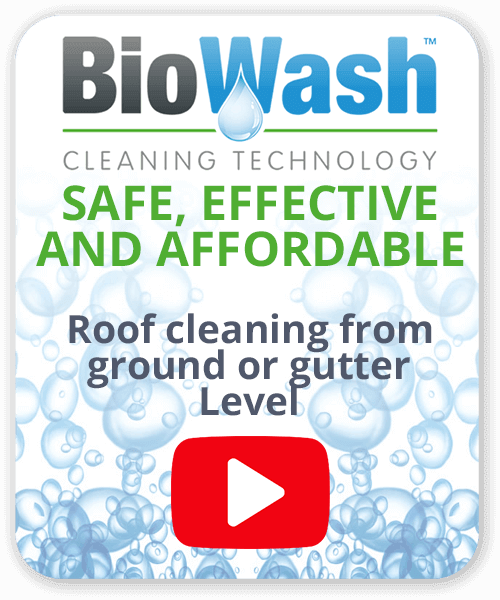 The BioWash™ roof cleaning process is carried out from the ground or at gutter level and removes most customer’s apprehensions as the risk of damage to roof tiles is eliminated. 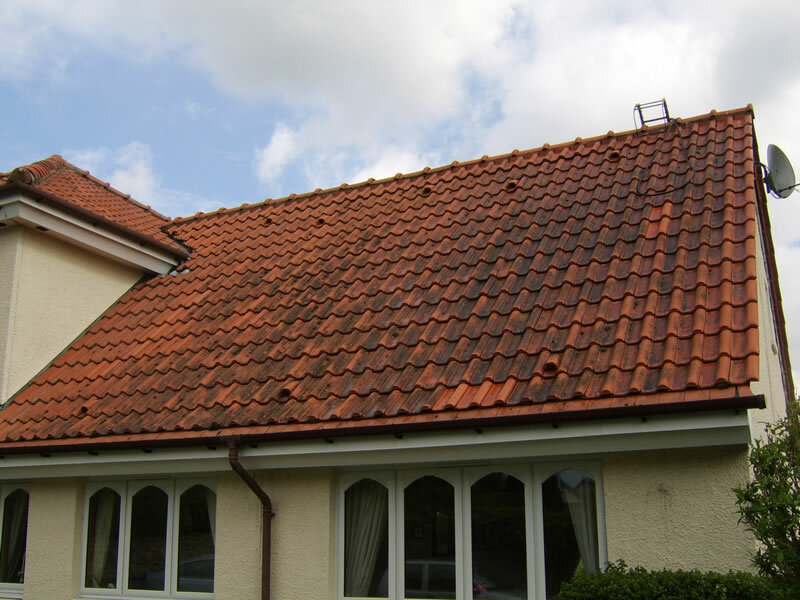 If you live in Kent near Dover, Whitstable, Ramsgate or Folkestone and would like a FREE moss removal and BioWash™ roof cleaning quote, just call 0800 849 9498 or complete our online enquiry form.